Branch Chain Amino Acids (BCAA) is one of the ‘must take’ supplements for building muscle. Branch Chain Amino Acids (BCAA) is one of the ‘must take’ supplements for building muscle. The three proteinogenic BCAAs are among the nine essential amino acids for humans, accounting for 35% of the essential amino acids in muscle proteins and 40% of the preformed amino acids required by mammals. 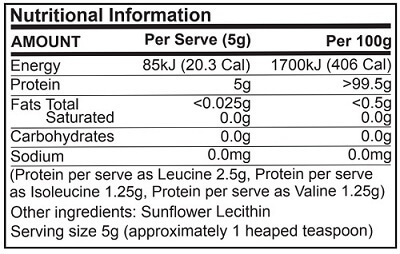 Among the proteinogenic amino acids, there are three BCAAs: leucine, isoleucine and valine. It is therefore hardly a surprise to hear that the BCAA’s are vital for optimal muscle growth, endurance and the reduction in muscle soreness. Increases the potential for muscle protein synthesis in older adults and may make an otherwise insufficient or marginal quantity of meal-derived protein more biologically available for muscle tissue growth and repair.